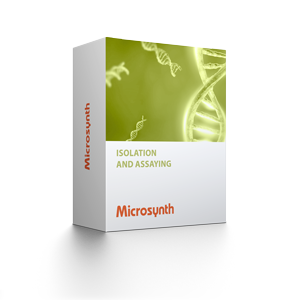 Microsynth provides a comprehensive portfolio of food testing kits. The portfolio includes kits to trace or quantify marker genes of specific animal and allergenic or transgenic background in food samples. 1 All kits have been developed in collaboration with Dr. Rene Köppel from the Zurich Cantonal Laboratory, an acknowledged expert on the use of cutting-edge analytical systems for food safety testing. Click on the product name of any of the assays listed in the tables above to download a user guide. To run our assays successfully, you need an adequate real-time PCR / digital PCR mastermix and a real-time PCR thermocycler capable of measuring multiplex reactions at the required wavelengths. All Pentaplex assays are also available with the dye ATTO 425 instead of Dyomics 681, in case your real-time PCR thermocycler / digital PCR equipment capable of measuring multiplex reactions at the required wavelengths. If you do not have the necessary real-time PCR / digital PCR equipment, let Microsynth run your assay(s) of choice on a fee-for-service basis. In this context see also the submenu "Real-Time PCR – Project-Based Analysis Services". Köppel R. et al. Two tetraplex real-time PCR for the detection and quantification of DNA from eight allergens in food. Eur. Food. Res. Technol. 230, 367-374 (2009). Köppel R. et al. Two tetraplex real-time PCR for the detection and quantification of DNA from eight allergens in food. Eur. Food. Res. Technol. 230, 367-374(2009). Eugster A. et al. Quantification of beef, pork, chicken and turkey proportions in sausages: use of matrix-adapted standards and comparison of single versus multiplex PCR in an interlaboratory trial. Eur. Food. Res. Technol. 230, 55-61 (2009). Köppel R. et al. Multiplex real-time PCR for the detection and quantification of DNA from beef, pork, chicken and turkey. Eur. Food. Res. Technol. 227,1199-1203 (2008). Proficiency test done, publication submitted. Köppel R. et al. Multiplex real-time PCR for the detection and quantification of DNA from beef, pork, horse and sheep. Eur. Food. Res. Technol. 232,151-155 (2011). Rentsch R. et al. Interlaboratory validation of two multiplex quantitative real-time PCR methods to determine species DNA of cow, sheep and goat as a measure of milk proportions in cheese European Eur. Food. Res. Technol. 236, 217-227 (2013). Köppel et al. Two quantitative multiplex real-time PCR systems for the efficient GMO-screening of food products. European Food Research and Technology (DOI); 239 (4): 635-659 (2014). Köppel R. et al. Multiplex real-time PCR for the detection and quantification of DNA from four transgenic soy Mon89788, A5547-127, Roundup Ready, A2704-12 and lectin. Eur. Food. Res. Technol. 235, 23-28 (2012). Köppel et al (2013) Nonaplex real-time PCR detection of Listeria monocytogenes, Campylobacter, Salmonella and enteropathogene E. coli after universal enrichement in food samples; European Food Research and Technology 237:315–322. Mayr, A.M. et al. Rapid detection and differentiation of Campylobacter jejuni, Campylobacter coli, and Campylobacter lari in food, using Multiplex Real-Time PCR. Journal of food protection. 73,241-250 (2010). Köppel R. et al. Proposal for a performance factor to characterize real-time PCR systems, evaluate premixed DNA-Polymerases and assign minimal performance criteria for individual quantitative PCR-runs. In press. Pavliovic et al. Development of a Multiplex Real-Time Polymerase Chain Reaction for simultaneous Detection of enterohemorragic Escherichia coli and enteropathogenic Escherichia coli Strains. Foodborn Pathogens and Disease. 7,801-808 (2010). Köppel R. et al. Multiplex real-time PCR for the detection and quantification of DNA from duck, goose, chicken, turkey and pork; European Food Research and Technology Volume 236: 1093-1098 (2013). N.V. Morf et al (2013) A multiplex PCR method to identify bushmeat species in wildlife forensics Forensic Science International: Genetics Supplement Series, doi.org/10.1016/j.fsigss.2013.10.104. Waiblinger et al. Ring trial validation of single and multiplex real-time PCR methods for the detection and quantification of the allergenic food ingredients sesame, almond, lupine and Brazil nut Journal of Consumer Protection and Food Safety; 9: 297-310 (2014). European commission, Joint research centre JRC. Institute for health and consumer protection IHCP, Biotechnology and GMO's unit, Ispra (VA) - Italy October 2008 Protocol. Event-specific method for the quantification of Maize Line MON89034 using real-time PCR. European commission, Joint research centre JRC. Institute for health and consumer protection IHCP, Biotechnology and GMO's unit, Ispra (VA) - Italy March 2010): Protocol MON88017. Event-specific method for the quantification of maize line MON88017 using real-time PCR. To obtain information about pricing or to place an order please contact us. If you are interested in more technical information, please contact our collaboration partner at the Zurich Cantonal Laboratory Dr. Rene Köppel. Overview of our multiplex qPCR Kits for simple, fast and smart food testing.